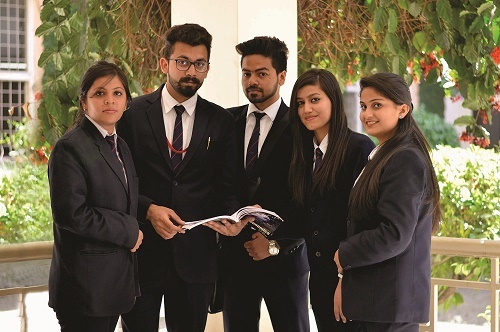 Maharishi Markandeshwar University (MMU), Ambala is pleased to announce that admissions are open to 2 year full-time MBA Program. The Program is targeted at students who want to achieve more from their MBA. It is backed by 24 years of rich legacy of the University, accredited by ASIC, UK and is mentored by IIM Ahmedabad Alumni. The program aims to deliver cutting edge, modern and world-class management education tailored towards the fast moving and unpredictable business world. This changing nature of business has made generic MBA programs redundant. The program design is meant to overcome that. Laboratory in Entrepreneurship and Motivation (LEM): A program designed for budding entrepreneurs and the only Lab of its kind outside of IIM-A. The uniqueness does not stop here. The Campus Business Park @ MMU offers a chance for learning about projects and ventures first hand. Ours is the only Campus in North India where companies are running development and marketing offices from campus. Several companies plan to do International projects from the Campus. Through visiting faculty, guest sessions, workshop and seminar facilitators, students have the opportunity to engage with thought leaders, business experts and entrepreneurs. At MMU, we pride ourselves on our faculty’s ability to not only teach management practice, but guide students on how to keep themselves ahead of the game, through their entire career. Admissions for the MBA program are open for 2017. Eligibility: Candidate must have cleared graduation or should be in the final year of graduation program in any stream. Minimum 60% in graduation and 12th. CAT, MAT/CMAT & GMAT scores are also considered. Based on the merit of the qualifying examination and personal interview, a candidate will be offered seat in the Program.